List of Figures. List of Tables. Abbreviations. Acknowledgments. Introduction. 1. Separate and Suitable. 2. Barriers and Bridges. 3. Insuring Her Assets. 4. Retailing Respectability. 5. A Household of Enterprise. 6. Property, Home and Business. 7. Historical Female Entrepreneurship. Conclusion. Appendices. Notes. Bibliography. Index. 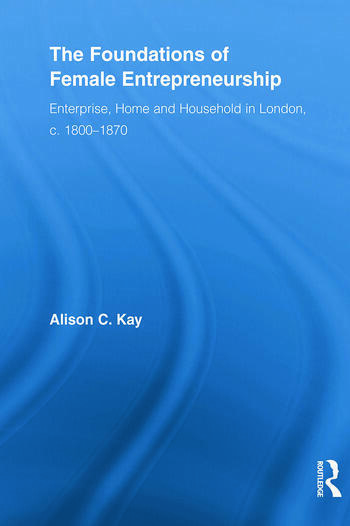 Alison Kay began her working life as a business journalist and management analyst before embarking on her doctoral research at Nuffield College, University of Oxford, upon which this book is based. She was until recently Lecturer in Nineteenth-Century British History at Lancaster University, where she has just taken up an Honorary Research Fellowship. She is also an Associate Lecturer in Economics with The Open University.